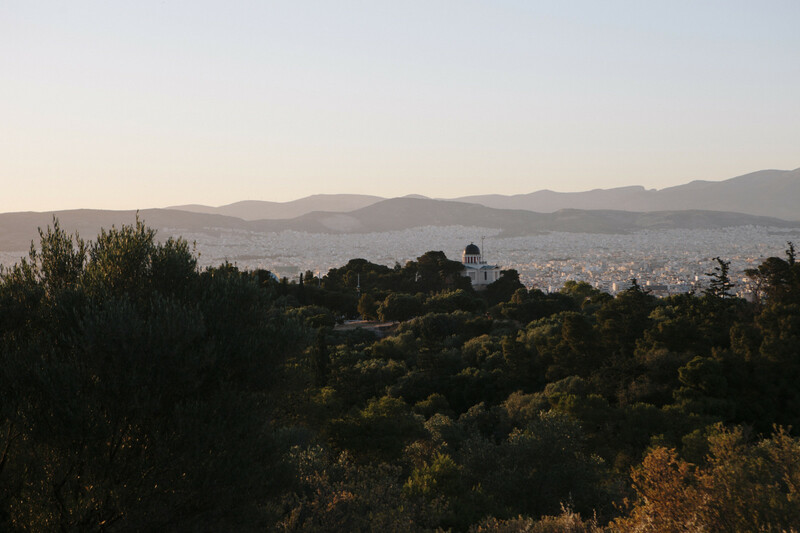 I took my first stroll around Philopappos Hill in Athens with my friend Adrianna, while looking for a “home” for my specialty herb and spice brand, Daphnis and Chloe. It was a warm afternoon and we both fell in love with the aura of the neighborhood. We stopped to rummage at a small shop on Erechtheiou – a quiet street facing the southern side of Acropolis, its sidewalks adorned with bitter orange trees. Needless to say I signed a lease for a space there a few months later. This is more or less how I ended up working, sleeping, buying groceries and generally spending life under the “holly rock” of Athens. There’s something mystical about living so close to the Acropolis. Some people say that the ancient temples channel powerful vibes that affect the area’s inhabitants. Whether this is a fact or a myth, it’s quite a nice story to believe. I love the bizarreness of my neighbors who step into our herb shop randomly, asking to have their smartphones fixed or looking for products we don’t actually provide. It’s interesting to find out there’s people who live up on the hill, in old kiosks or huts. 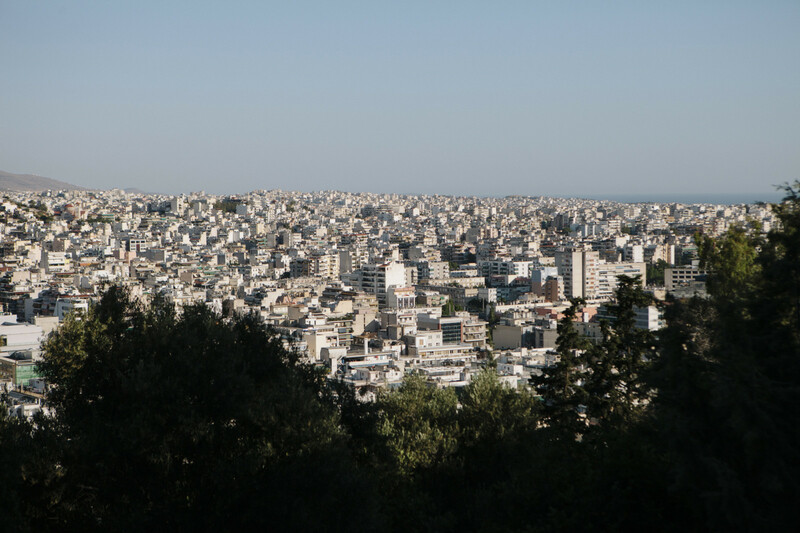 I consider myself lucky to be able to walk on the footpaths traced by Dimitris Pikionis – the visionary architect revered for his landscape work and pedestrian areas around the Acropolis. There’s something mystical about living so close to the Acropolis. Some people say that the ancient temples channel powerful vibes. Whether this is a fact or a myth, it’s quite a nice story to believe. These paths, composed by accumulated marble and clay shards left over from demolished buildings of 19th century Athens, have quite an attractive quality. Sometimes I take friends from abroad on tours, I love surprising them with visits to the church of St. Loumbardiaris and the adjacent kiosk. Other times I go for midnight walks with my boyfriend, testing my orientation in the dark – two pillows, a bottle of wine and a piece of cheese in my backpack. I cross the park to go for lunch in the neighborhood of Petralona, or visit the capital’s planetarium. The best time of the year to go up there is early May or late September. Having a picnic amidst nature, away from the hustle and bustle, is always a good idea. For ours, we prepared a dakos salad, eggplants rolls and marinated sardines. We bought beers from the kiosk, wrapped them in a cotton blanket and walked up the hill looking for the perfect spot to spend the afternoon. Pikionis is everywhere: he’s artfully incorporated the local flora in his work, and has left a handful of perfect spots. And all of this is right in the city centre – Isn’t this magic? Use a sharp knife to cut the eggplants into thin round slices. Sprinkle salt on both sides. Put the slices in a colander and leave them for one hour to drain off moisture. Discard liquid and rinse eggplant slices. Use paper towels to get rid of excess water. Preheat a grill or a grilling pan over medium heat. Brush both sides of your slices with olive oil and sprinkle with pepper. Place them on the grill and cook until brown – 4 to 5 minutes. Flip and repeat. In a bowl prepare the stuffing by mixing the ricotta cheese, parsley, oregano, remaining olive oil, salt and freshly ground pepper to taste. Spread a teaspoon of the cheese mixture on each eggplant slice, leaving a 2cm border around the edges. Roll up your eggplants and place them on a flat tray. Ready to eat! Working with one sardine at a time, use a knife to remove the head. Without piercing the fish all the way through, use the tip of the knife to remove bones from the flesh. Rinse the cavity with vinegar and place the deboned sardine on a plate. Lightly season the cavity with salt. Do the same for all your sardines. Arrange the filleted fish on a flat dish. Whisk together the oil, lemon juice, parsley and garlic, and pour the marinade over all the sardines. Cover dish with plastic wrap and refrigerate for at least three hours. To serve, transfer fish to small plates and serve with bread or rusks. Can be made two days ahead. Put the rusks under running water for a second or two – just to introduce some moisture which will make them easier to eat. Place them at the bottom of a bowl, crushed in big pieces using your hands. Peel and cut the tomatoes in very small cubes and save their juice. Pour the tomato cubes and juice over the rusks. Add feta cheese, olives, capers, olive oil and oregano. Let the salad stand for 10 minutes before serving to make sure the rusks are softer but still crunchy. Thank you Evangelia for the delicious picnic recipes. Learn more about Evangelia’s specialty herb and spice brand, Daphnis and Chloe, and how she found the first company specializing in local varieties of herbs from all over Greece. Interested in Athens? Have a look at our growing archive.